The Terminus name has been synonymous with high quality insert type tooling since the mid 90’s. High Definition Tooling will continue this fine tradition by maintaining the high standards for tool design, availability and customer service. 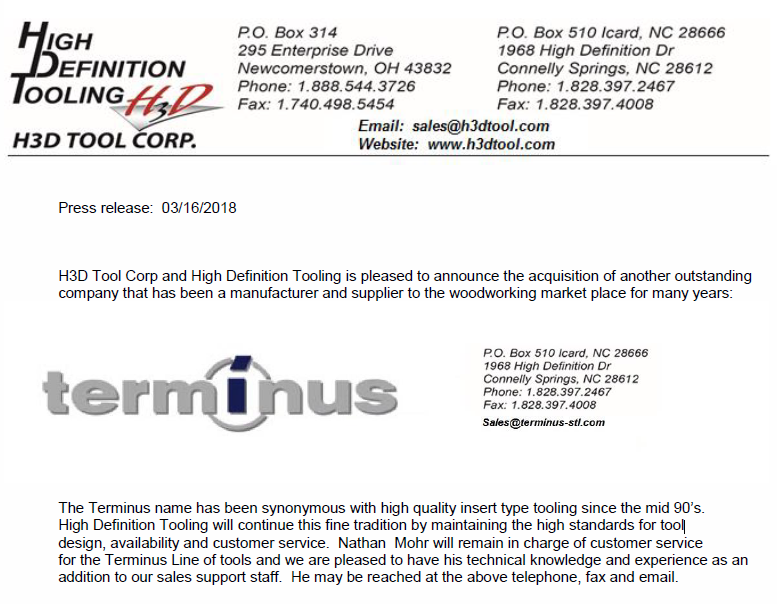 Nathan Mohr will remain in charge of customer service for the Terminus Line of tools and we are pleased to have his technical knowledge and experience as an addition to our sales support staff. He may be reached at the above telephone, fax and email.